Ullrich Kockel is Professor of Ethnology at the University of Ulster and an Academician of the UK’s Academy of the Social Sciences. His recent publications include Culture and Economy: Contemporary Perspectives (edited, 2002), and Re-Visioning Europe: Frontiers, Place Identities and Journeys in Debatable Lands (2010). He has been elected President of the Société Internationale d’Ethnologie et de Folklore (2008-11), and is currently editor of the Anthropological Journal of European Cultures. Máiréad Nic Craith is Professor of European Culture and Society at the University of Ulster. She is the author ofPlural Identities, Singular Narratives: The Case of Northern Ireland (2002) which was joint winner of the 2004 Ruth Michaelis-Jena Ratcliff research prize for folklife, Culture and Identity Politics in Northern Ireland (2003), Europe and the Politics of Language (2006), and Cultural Diversity, Heritage and Human Rights (co-edited, 2010). 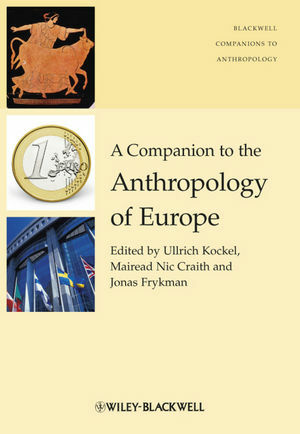 Jonas Frykman is Professor of European Ethnology at Lund University. His publications include Identities in Pain (with Nadia Seremitakis, 1997), Articulating Europe: Local Perspectives (with Peter Niedermüller, 2003), and Sense of Community: Trust Hope and Worries in the Welfare State (with Bo Rothstein et al, 2009).